Andrea Giraldo López lived in Portugal for two years and was a part of Transition Coimbra. She attended a Transition Launch training and travelled back to Colombia “almost by mistake” to her home city, Manizales (population 400,000), and started mapping what was happening in eco, resilience, and social justice networks. She found that there was lots happening, but they were not networking or in some cases didn’t even know of each other’s existence. She was introduced to the president of a large bank, and told him about Transition. This bank has a division that specialises in building sustainable and resilient cities, lending money and also supporting projects. The bank hired Andrea, and she decided what was needed was an educational project, and in 2015 School for Life (Escuelas de Vida ) was born. She worked with this organisation for six months. “It was an excuse to come together, as a group of friends who have grown to love each other, and incubate Transition in Manizales”. Inner Transition played a very important part, and each had the understanding that we have to start the Transition with ourselves, learning from each’s journey. 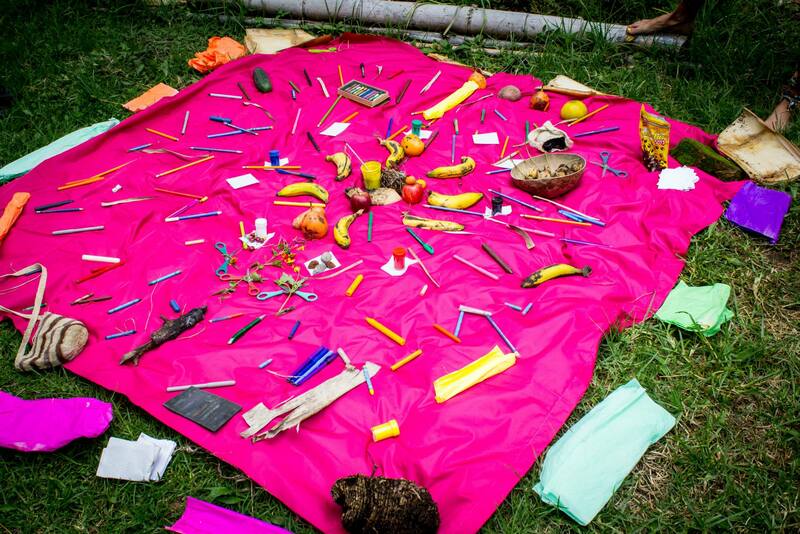 They think of the School of Life as a ‘Permaculture Unidiversity’. They feel that the best thing to do is live the life you want to, and enjoy, holding monthly festivals of celebrating all the wonderful things happening in Manizales. One project was writing a permaculture manual reimagining Permaculture. For those familiar with the permaculture flower, they have re-visioned the pedal of health and well being at the centre of the flower. 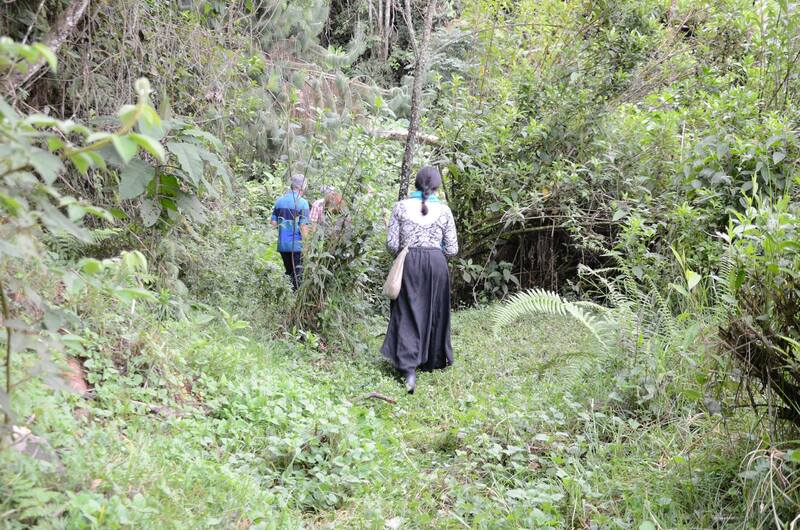 Someone in Manizales donated a hectare of land in the centre of the city to be a permaculture demonstration site so that people have an oasis in the city and also don’t have to travel to the countryside (which is apparently very beautiful). From the Train the Trainers she has just done, she sees lots new ways to organise and work together and is looking forward to returning and putting these new ideas into practice. They are expanding already into surrounding areas and communities and have their sites set on a regional Transition. 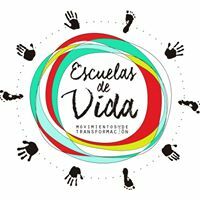 The School of Life is a cross cutting organisation which has people from many different networks and social classes from the very poor all the way to politicians and business leaders (you can visit their facebook page: Escuelas de Vida Manizales). The first visit toCumbre Manizales. Beatriz Arjuna, director of change the world Colombia, and member of the consul of sustainable settlements of Latin America, was one of the founders of Transition Villa de Leyva (population 15,000) – the indigenous place known as ‘the valley of the gathering’. Villa de Layva sits at 2100 metres in the mountains of Colombia, is a 400 years old ‘town’, and an ancient centre of indigenous culture, and many say the most beautiful town in Colombia. It is also has a strong alternative culture. 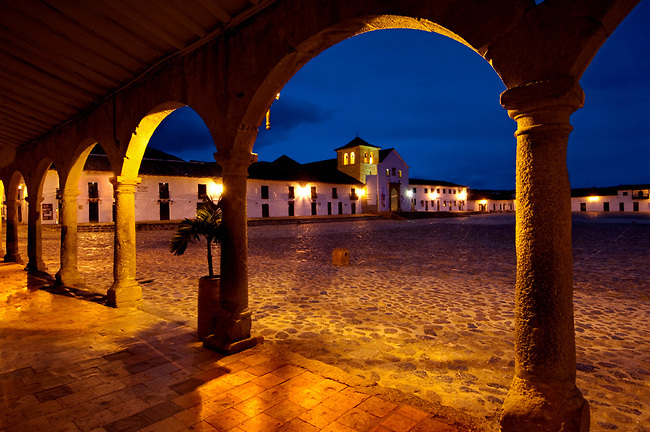 Villa de Leyva en transición began with a core group of five, three of which knew each other from Bogota, and the other two are from Villa de Leyva. They formed the Transition group after the outsiders had settled there for less that a year; although they knew it well and had been coming to the town for many years. They also has very little contact with Transition Network, and had not read any of the books or watched any of the films, nor did the training. Villa de Leyva platya mayor, Colombia. Their first idea was to host a gathering for all things eco and green, which was very successful, over fifty people came and on that day they set up working groups: seed keepers, water harvesting, green schools, and inner Transition. Then nothing happened. Other eco groups in existence was a film group that shows films int he market square, and a barter group which many people attend. These other groups continued but the Transition group fell asleep. It came back to life in 2012 when Exito, the largest supermarket chain in Colombia wanted to open a branch. 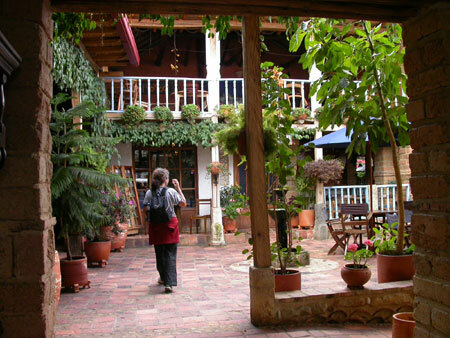 Villa de Layva has farmers markets and many small shops. They all saw the threat that a large supermarket presented. The core group of Transition Villa de Layva talked to the small businesses in the town, political activists, and much of civil society. They formed a delegation to see the mayor who saw their point but backed the supermarket development as he said others in the town supported it. The supermarket started to install the infrastructure for the development. Villa de Leyva en transición organised an effective opposition organisation with the slogan, ‘Best Exito is no Exito’ (Exito means success in Colombia). They opposed the supermarket on heritage grounds, as the development was being built in the historic centre of the town. Then a journalist at one of the most popular national newspapers took up their cause, and within four months the supermarket withdrew its’ plan. Villa de Leyva en transición was burnt out, and has not recovered. The Facebook page exists, but nothing has happened since 2012 .